Every Nexus gives 9 supply? I was confused while analyzing some replays using ChaosLauncher + StatInfo plugin enabled (You can watch how to here). At some point when pressing Ctrl+E it says player1 has 7 Pylons, this meant to me 7*8+(9, the beginning supply count)= 65, but no it was 83. I searched for a long time to find an explanation for that, but nothing, I thought its some kind of out-of-sync issue that happens with the replays, but its not even an UMS map ! I was astonished by this fact, Protoss has 3 Nexus=27 + 7*8(56)=83 ! Why this info no where to be found, or nobody talk about it ? 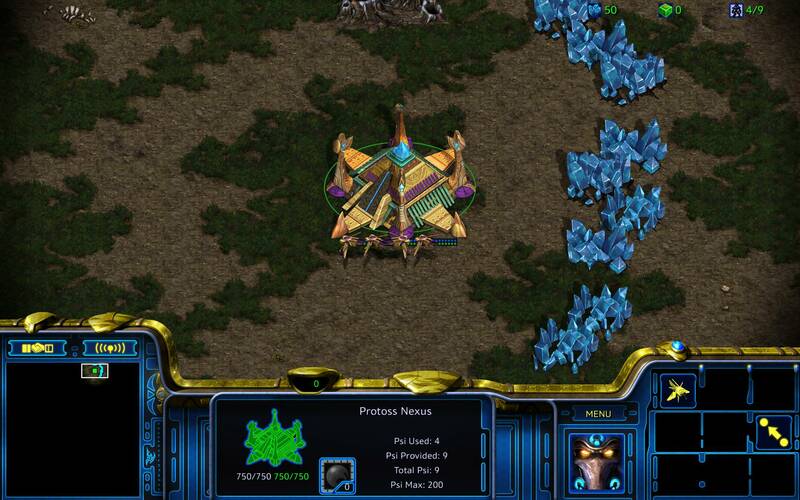 To all the argumentative Gosu(es) that think this fact is common sense, the guy h e r e tutoring players about Protoss race, never mentioned this simple fact, although its printed on the damn Nexus diagram, is he newbie ? I actually don't won't to argue more in this topic, if someone think this is 1,2,3, please tell me some facts that automatically and dramatically affect the game play but we don't know it. I'm still sure that despite the votes, at least half of Broodwar players, doesn't know about it, or how to exploit it. Unfortunately despite I'm giving all the possible options in the Poll, most of the voters think they born playing SC, and instead of picking the real reason for their knowledge, they arrogantly pick the funny one, which makes the poll result unfair. Poll: Did you know that before ? Your vote: Did you know that before ? (Vote): Yes of course I know it, you're just a chobo ! I assume the difference between the CC and Nex is because pylons build faster than depots, and you can also send your probe right back to mining with P whereas the SCV has to keep building the depot. Thanks, this one of the most overlooked facts, I was wondering why the supply count doesn't increase by 8 for each supply. Dude if you're not trolling you gotta chill man. I admire how everyone is being so civil in their replies. Thank you, thats logical, if I know OP fact, the cc considered destroyed, although I didn't test. That's also logical, each race has his own supply. But how the heck, could someone know that Bases gives supply ! I'm not trolling of course, and curious to know how everyone knew this info instead of pretending its common sense, at least I discovered it by myself. There is so many facts that one can know it by playing (like Maelstrom blinds Overloads), but this? I'm pretty sure it says it on every CC, nexus, and hatchery, and when you expand you might notice the supply increase. Do you guys ever wonder how they decided to place the numbers there? On March 01 2018 11:56 Moataz wrote:I was astonished by this fact, Protoss has 3 Nexus=27 + 7*8(56)=83 ! Shush! Not so loud! They can hear you! Trust me, those Psi Blades really hurt! Shush! Not so loud! They can head you! Trust me, those Psi Blades really hurt! But it doesn't really classify as a town hall considering you can't build workers and return resources to it. Really !, I played that game since 21 years ago till now (not frequently) and didn't notice anything ! Afterwards ovie / pylon / depot gives same 8 supply. So the theory was to give all 3 races a somehow same economical start. Of course there is also mining rate differencies etc. but all in all that is how they figured that out I guess.